This baby footprint mom necklace is a perfect gift for a mother or for your families. 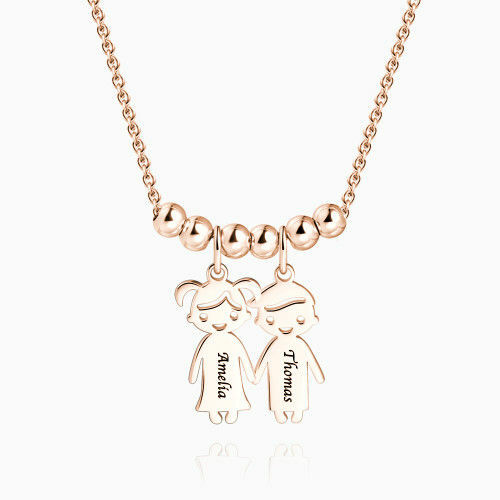 Whether to have your baby\'s adorable feet made into a sentimental keepsake or to engrave names for your family of three, this necklace is a gorgeous for every occasion. The necklace pendant is available in .925 sterling silver, rose gold, and 14K yellow gold plated. The extended chain allows you to get four lengths: 15 in (37.5 cm), 15.8 in (40 cm), 16.5 in (42.5 cm) and 17.7 in (45 cm).